Ask most divers why they dive, and they’ll probably say to see fish or explore wrecks. While few dive to actively ‘find treasure’, picturing ourselves recovering lost riches is never far away. 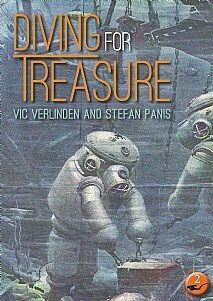 This train of thought runs through new book ‘Diving for Treasure’ written by technical dive partners, Vic Verlinden and Stefan Panis. The pair are highly experienced CCR divers and organisers of Tekdive Europe, as well as established authors and photographers. Their latest softback takes a somewhat uneven look at shipwrecks and their booty-full cargoes. Let’s get the negatives out of the way first: some of the writing is a bit clumsy, but as Vic and Stef (as they’d probably forbid me to call them now) are Dutch, we’ll look past this. Secondly if you’re expecting to find gold brought to the surface on every page, you’ll be disappointed: Mr Verlinden and Mr Panis have taken rather a liberal definition of ‘treasure’ that includes gold bullion but extends to cover glassware, swimming pool mosaics, ceramic pots, and in some cases (SS Albertville) – nothing exceptionally valuable at all, in the conventional sense. In the latter case, the ‘treasure’ is shorthand for reaching an undived wreck. The book itself is a three-way split between historical accounts, dive guides (who to dive with, location conditions etc) and first-hand trip reports. Take for example the famous frigate Lutine, whose bell hangs in Lloyd’s of London today. 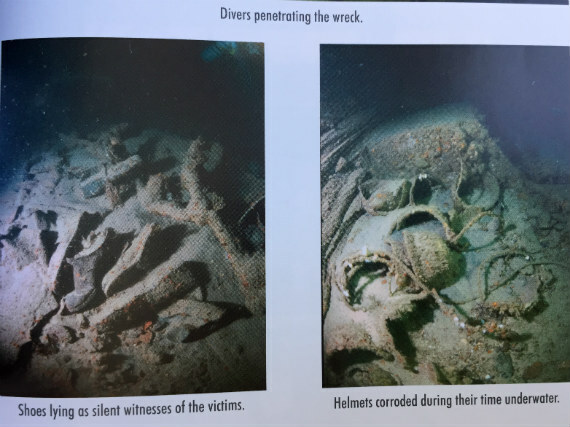 The wreck sits on shifting sandbars and has vexed and taunted would-be salvors for over two centuries. The authors themselves make no reference to visiting the site but document at least fifteen empty-handed attempts. Almost as famous is the SS Egypt, which sank in the Atlantic loaded with gold. This time around we’re in full expedition mode to descend with the authors to a frightening 130m. They may not return with ingots but they bring back some fabulous photographs of the ship and her fittings. Then there’s my personal favourite, the White Star liner Laurentic which sank off Donegal in 1917 carrying 43 tonnes of bullion. 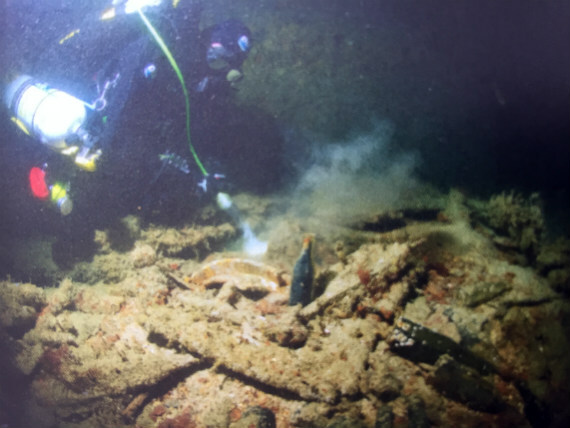 Over the years almost all of it was recovered, leaving a mess of a wreck as by-product of the most successful gold salvage ever. Sitting at 40 metres, it’s one I hope to reach myself one day. But away from the famed liners that made headlines were many smaller, less glamorous foundings that are long forgotten. The Roompot for example was carrying a cargo of rice. But this small schooner was rediscovered after 140 years underwater in an area of appalling visibility, and given a name by Vic and Stefan. It may not be treasure but it’s testament to the richness of our underwater heritage.